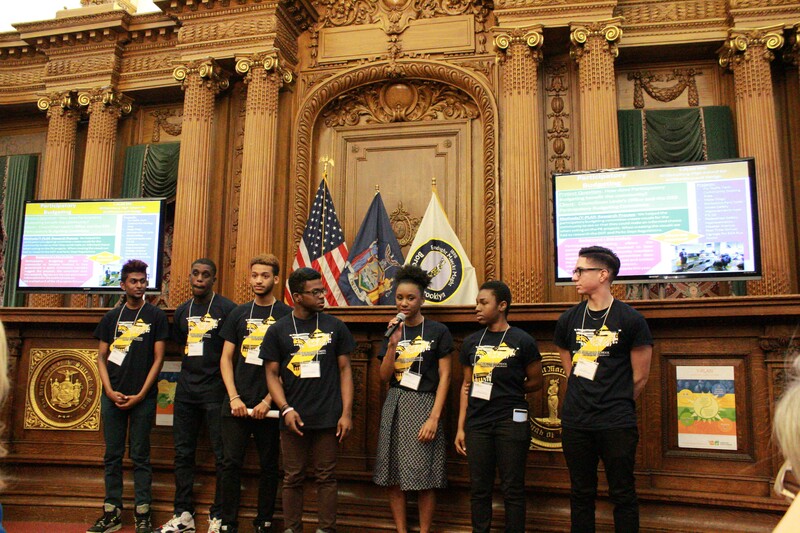 On Wednesday, May 18 seniors Xavier Flowers, Anah Lewi, Nathifa Debellotte, Donavon Bembridge, Ronny Tineo, and Oumardat Basdewa presented their final Y-PLAN project results at Brooklyn Borough Hall. Over the course of the school year these students, along with their 7th period economics class, worked with Councilman Levin’s office and the Participatory Budgeting (PB) Committee. One of the five projects that the class worked on was voted by the community as a winning project. The project to make Msgr. McGolrick Park Safer will receive approximately $500,000 to fix the sidewalks and fences surrounding the park. Y-PLAN and PB allowed our students to help make the community a safe place.